UCSB is well known for its classical music performances, featuring multiple, high-end concerts, operas, and musicals per year; however, the university also boasts multiple, smaller-scale performances of contemporary music from diverse cultures the world over, ranging from the soaring vocals and distinct drumbeats of Indian music to the vibrant percussion and strings found in traditional Hispanic music. One can watch these fun, small shows for free in the Music Department’s outdoor music bowl at noon on Wednesdays as a part of the university’s World Music Series. Some have criticized the performance arts at UCSB as overwhelmingly Euro-centric, often leaving other cultural showcases as mere footnotes in the university’s arts & entertainment programs. 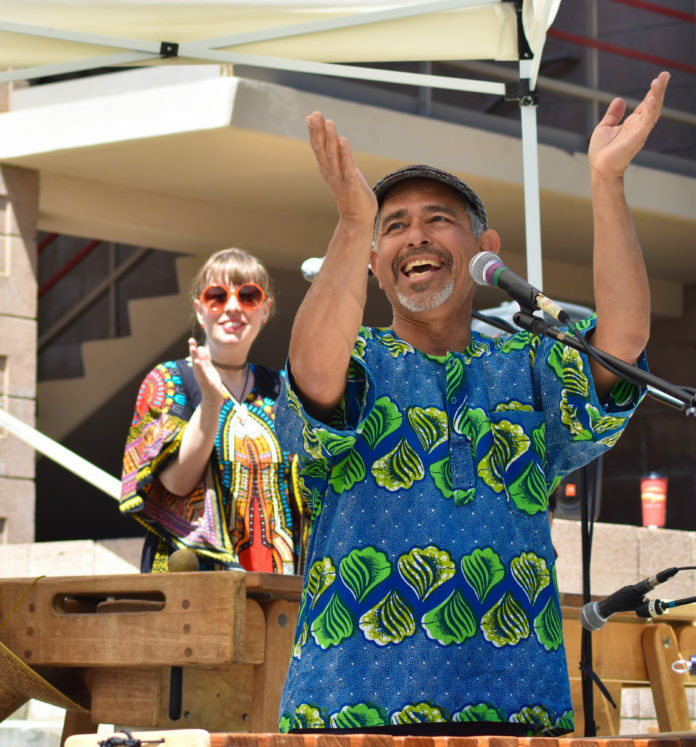 In an effort to diversify UCSB’s performance arts, the Multicultural Center and the Ethnomusicology program have partnered to put on the spring 2019 World Music Series. The first exhibition in this series, Music of Zimbabwe and Masanga Marimba, took place on Wednesday, April 11, and combined the celebratory music of Zimbabwe with the vibrant marimba stylings of Guatemala into one highly distinctive performance. This broad mix of styles shone through in the group’s performance. Through their seamless blend of Zimbabwean marimba, saxophones, percussion, and trumpets, the group maintained a sound all their own while still staying true to the native spirit of Zimbabwe. The crowd in the music bowl started out with a small group of faculty and students, but within a few minutes of the group’s performance, the infectious, energetic spirit of their music drew an impressive crowd that had the music bowl overflowing. With every new song, the group educated the crowd about the cultural significance of their lyrics and instruments, leaving the audience with a new understanding of African and Latin cultures that are seldom discussed. The extremely positive reception this group received shows that students are eager to see more diverse representation in UCSB’s musical performances through programs like the World Music Series. The next show will be today, April 17, featuring Rumba, Bolero, Cumbia, and more with Ensamble Vientos Del Sur.